Several new enhancements have surfaced in the latest developer version of Google’s Chrome browser. As previously announced, the software now respects Apple’s multitouch gesturing philosophy in OS X Lion. This means you can flick your finger left or right on your Magic Mouse (or two fingers on a trackpad) to advance and go back in your history. Unfortunately, the browser won’t yet let you double-tap or pinch to smoothly zoom in and out of web pages iPhone-style, like Safari on Lion. Another nice-to-have: You can now rest assured that accidentally hitting the Command + Q combo won’t quit Chrome because a subtle overlay appears telling you to hold down the combo briefly in order to quit (see the above screenshot), which has been around for awhile since past builds. Chrome now supports Lion’s Full-Screen feature through standard full-screen button found in the upper right corner of the window. 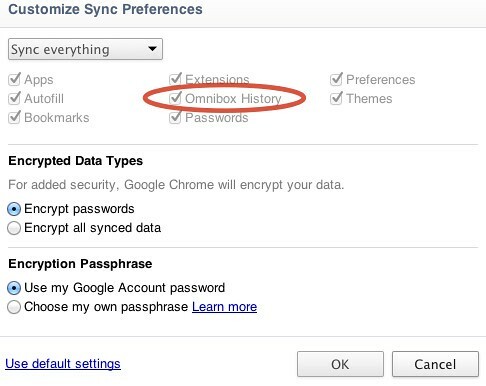 The latest nightly build across all platforms also added Omnibar history syncing (see below), in addition to the previously available syncing of extensions, passwords, bookmarks, web apps, autofill items, browser settings and themes. A multi-profile feature has also seen some work in the visual department, even though it is not yet available in nightly Chrome builds for OS X. If you wish to try out those experimental features, we recommend installing the Google Chrome Canary build that runs without a hiccup alongside your existing stable Chrome installation.